Traveling to Myanmar? Look no further, this two week Myanmar guide is the only one that you’ll need! For the past few years Myanmar has held a constant spot on the top of my very long must-see travel list, however it always seemed just a little out of the way. 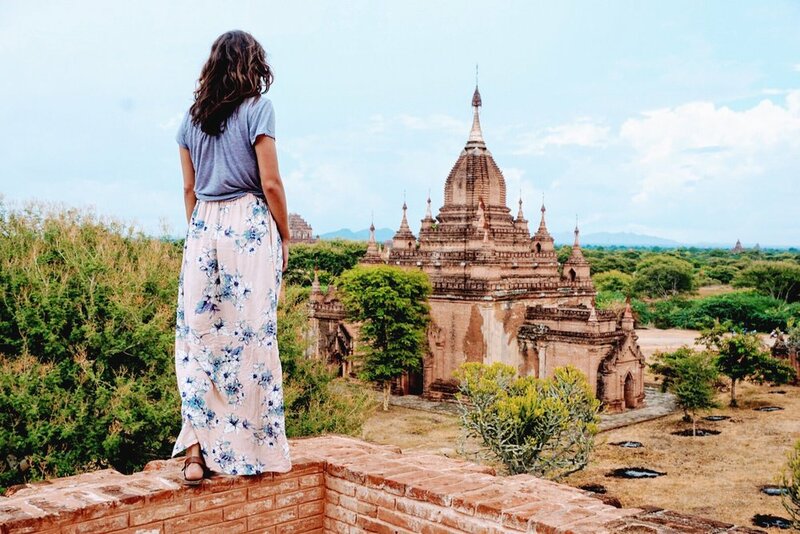 When I started planning my most recent 5 month escape to Asia I decided to make visiting Myanmar a priority, and I couldn’t be happier with that decision! Myanmar is quite frankly the perfect budget travel destination! And now with daily direct flights from Bangkok, Chiang Mai, and Kuala Lumpur, Myanmar is more accessible than ever. When I started my research I continuously read posts about how Myanmar was difficult to get around, expensive, not suitable for solo travelers, etc. Well as of August 2017 I can say that that is definitely not the case! As cheesy as it sounds, Myanmar was definitely one of the most magical places that I’ve ever been. The diverse landscapes are breathtaking, the food is amazing, and the locals are some of the most genuine people that I have ever met. 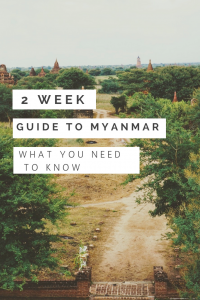 Follow along with my guide below on how to spend a perfect two weeks traveling through Myanmar with this two week Myanmar guide! *Disclaimer: As much as I love Myanmar the current political situation makes travel to the area a bit sensitive at the moment. Myanmar currently uses the Kyat (pronounced ch-ah-t). As of September 2017 1USD equaled approximately 1,300 kyat. Both ATMs and money exchange stands are widely accessible throughout the country. 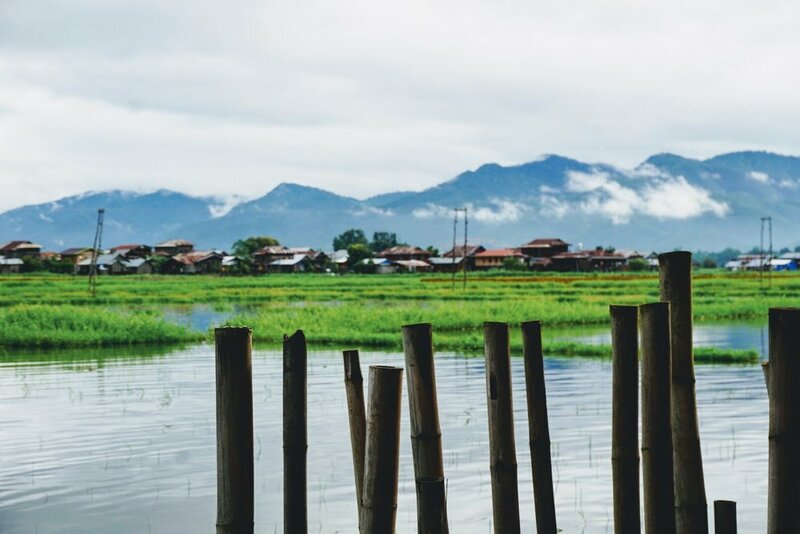 While Myanmar is typically warm all year round, there are distinct dry and rainy seasons, with the rainy season typically lasting from May/June to October. You will find that some of the more mountainous regions, such as on the hike from Kalaw to Inle, the temperatures will drop a bit at night, so I recommend packing some long pants and a light sweater. A visa is required for most individuals to enter Myanmar. This visa can be purchased online in the form of an e-visa for $50. Make sure to allow 2-3 days for the visa to be processed. A lot of people that I met had mixed feelings on Yangon, however in my opinion it is a city that cannot be skipped! 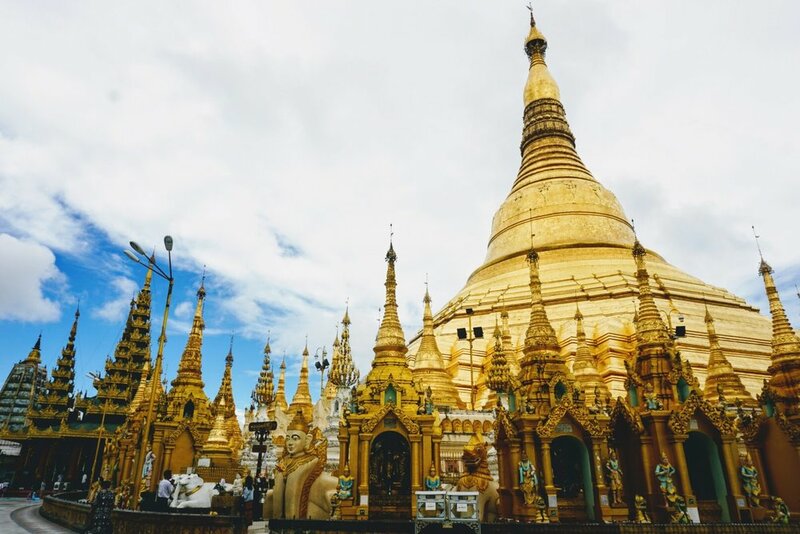 Yangon was a must on my two week Myanmar guide! The city seems to buzz as locals go about their daily life. The street food is also not to be missed! This hostel is reasonably priced and perfectly located next to the water and Sule Pagoda. The breakfast is on the larger side as well, with free coffee and tea available throughout the day. My only complaint is that my friends staying in another room found some bedbugs, however this is quite a common problem in Southeast Asia. I would check on the status of that before booking. While their is not much of a social atmosphere here, this is a good budget option if you’re simply looking for a place to sleep. Conveniently located in Chinatown, the hostel is clean, comfortable, and offers a decent breakfast. The front desk also does their best to match with other travelers for shared taxis going to the bus station, airport, etc. Right by the Sule Pagoda you’ll find a port with ferries heading off in various directions. From here you can catch a 10 minute ferry to a local village known as Dala. Unfortunately you will be forced to purchase the “tourist ferry ticket,” however it is only 4,000 kyat for a round trip ticket. The ferry ride itself was, in my opinion, the most exciting part of the journey. 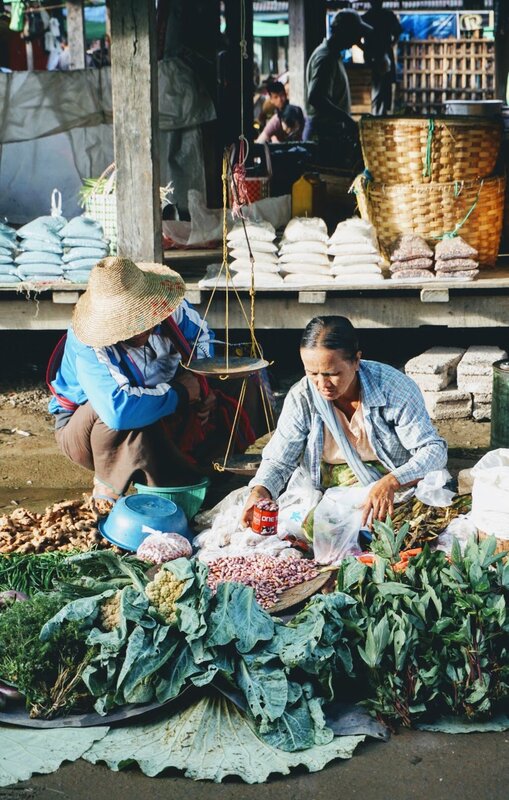 For the short journey the boat turns into a mini marketplace, with locals selling sweets, eggs, and fruit, as well electronic and household goods. There are a series of temples and monastaries to visit in the village, however due to a sudden storm I took cover in a local restaurant instead. The staff was warm and welcoming, filling me with the most delicious (and cheapest) buffet of Burmese food. 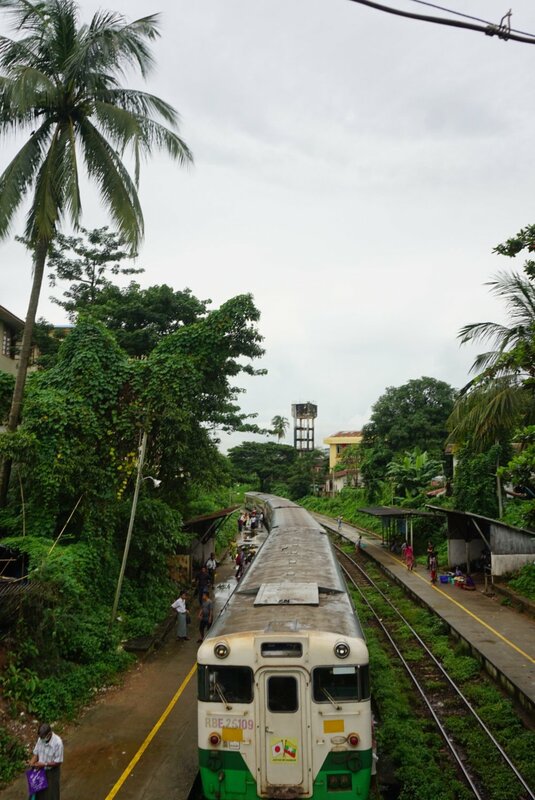 This train ride is an awesome opportunity to see the local life in Yangon. The entire route takes 3 hours but you can hop off earlier if you’d like. It is also not necessary to start at the central station, as tickets are available at most stations. The entire route, or whichever portion you choose to complete, costs 300 kyat. A lot of travelers advised me to skip Shwedagon and visit the smaller, cheaper Sule Pagoda. Although entrance to Sule is only 3,000 kyat, compared to Shaedagon’s 8,000 kyat entrance fee, I found the pagoda itself to be quite disappointing. In my opinion it is definitely worth the money to visit the larger, and much more impressive, of the two. Although touristic, this is a good spot to grab some souvenirs or local goods. I found, however, that the locals here were less willing to bargain. You can catch the local circular train right behind this market! Eat all of it! 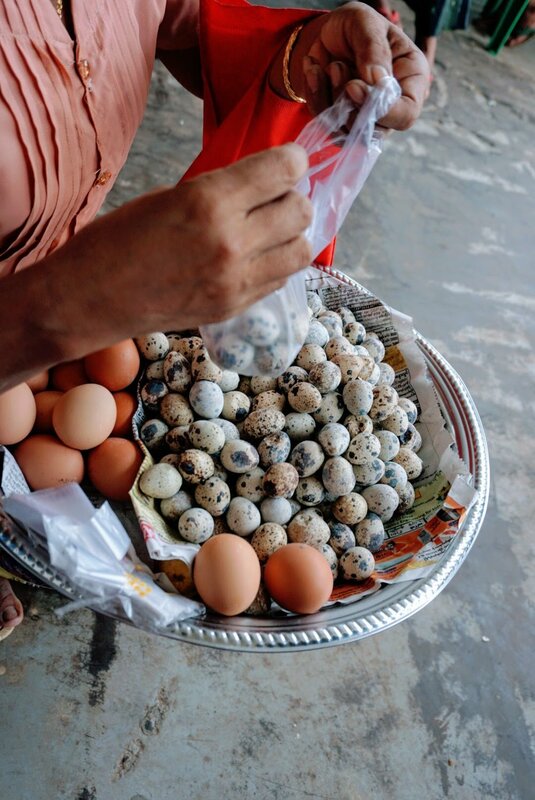 But actually, Yangon has some of the most amazing street food in Asia. To be honest, I’m not sure what half the things that I ate were but they were both delicious and cheap! You’ll find a ton of food stalls near the Chinatown area. I’m sure this spot has a name, I just didn’t bother to actually look while I was there. This is your go-to spot for Biryani! 1,500 kyat for vegetarian and 2,500 kyat for meat, these portions are large and super flavorful! We stumbled upon this spot on our last night and were pleasantly surprised. The Japanese dishes were filling and flavorful, however the highlight was definitely the friendly staff! Your best modes of transportation in Yangon are going to be by taxi or on foot. Fortunately, despite the awful traffic, taxis in Yangon are extremely affordable. A 20 minute ride cost me on average 2,000 kyat, however I drove 1.5 hours to the bus stop for only 6,000 kyat. Although it’s definitely on the pricier end, I highly recommend staying at Ostello Bello’s Bagan location. Included in the price of your stay is unlimited coffee, tea, and water, free daily breakfast, free pasta samples 3x daily, free sunrise, sunset, and city tours, and planned sunset boat tours. This hostel is conveniently located in New Bagan, only a short ride away from many of the famous pagodas. If you are pressed for time (and have adequate $$) then you should consider staying right in New Bagan. Some of the hotels in this area have amazing views of the temples from their private windows! Bagan is all about the sunrises. And the sunsets. In the four days that I spent in Bagan I only slept through one sunrise, but to be fair it was predicted to rain anyways. I read a lot of blog posts focused on finding the best sunrise/sunset spots, however once arriving I quickly found that the best method was just to set off exploring, getting lost in the process! There are over 3,000 pagodas in Bagan, so it is highly unlikely that you’ll manage to see them all. One thing to note is that the iconic hot air balloons are not in order during the rainy season. 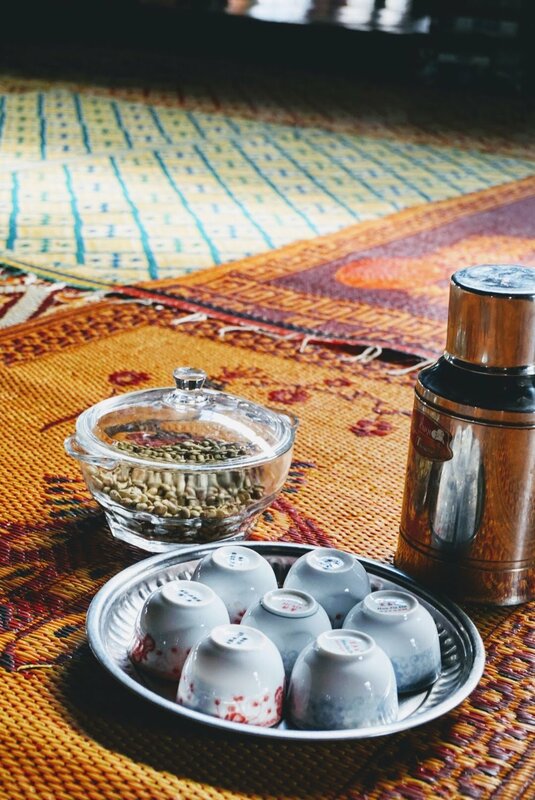 I had no idea until the morning that I arrived in Bagan and was thoroughly disappointed. So although I didn’t get to experience it myself, it has definitely been added to my bucket list! Although this activity is definitely not budget friendly. A sunset boat cruise is the perfect opportunity to see the sun set from the water. Ostello Bello organizes a tour that includes drink and snacks for 7,000 kyat. New Bagan has a ton of great options for food, so definitely make sure to venture outside of the overpriced hostel food! This restaurant offers a buffet of Burmese tapas for only 2,000 kyat/person. Each person is served a plate of rice and 8 tapas. The tapas are endless so this is a good place to come with an appetite! Local food and a very reasonable price, Delicious lives up to it’s name! Make sure to order the tomato salad! This is one of those restaurants that you read about in all of the guidebooks, aka one of the spots that I would typically avoid. However if you are looking for a hearty vegetarian meal then this is definitely a good spot! They have two locations: one in New Bagan and the other next to Andana Temple. The easiest way to get around Bagan is by e-bike. 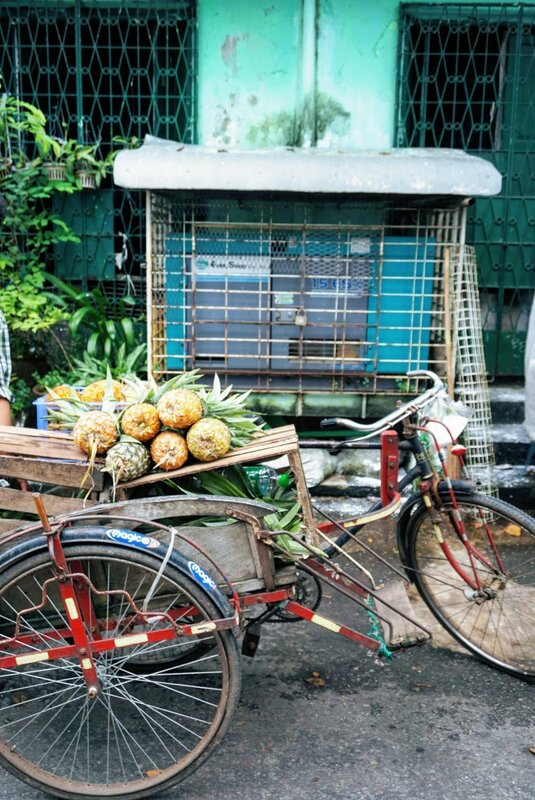 The e-bikes are electric scooters that rent for between 4,000-6,000 kyat a day. If you do not feel comfortable riding one then I highly recommend getting a bicycle, as it will give you more flexibility than a taxi but is not quite as hard as walking. I chose to stay at Ostello Bello as I had heard others rave about their awesome rooftop. Unfortunately when I arrived I found out that their rooftop would be closed for the duration of my stay. 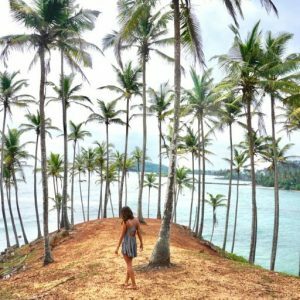 Overall I find that the hostel is conveniently located and quite social, which is always beneficial for solo travelers such as myself, however the food and tours offered were quite expensive. Unlike the Bagan location, this location did not offer any free tours to my knowledge. To be honest I didn’t have as much time in Mandalay as I would have liked, and was slightly limited due to an injured foot. I visited U Bein Bridge on the first evening that I arrived in Mandalay. I have heard that the sunrises at the bridge are quite spectacular as well, however they are often cloudy during the rainy season. Although I had already had my fair share of temples, I found that the Kuthodaw Pagoda was worth a visit, as the old white decor made it strikingly different from the others that I had visited. Located very close to the base of Mandalay Hill, there is no entrance fee for this beautiful pagoda, so you can easily see both at once. Unfortunately I was unable to climb Mandalay Hill due to my foot injury, however based on recommendations from others would definitely suggest trying to get up there for sunset one evening. Overall I was quite disappointed by the food in Mandalay, however I think that that had a lot to do with poor choices on my part. This small corner restaurant served some amazing Indian cuisine. I enjoyed an array of curries and chapati for under 2 USD. I chose to explore Mandalay both by bicycle and by motor taxi. You can hire a motor taxi driver for as low at 15,000 kyat a day to take you to all of the main sights. I found that riding by bicycle gave me a bit more flexibility, however the sights are spread out so you will not be able to cover as much distance. I was also not the biggest fan of navigating through Mandalay’s traffic. When I first arrived in Myanmar I had planned to do a 3 day trek from Hsipaw, a less touristic hike northeast of Mandalay, however I was convinced to join a trek starting in Kalaw instead. If you have the time then I highly recommend checking out Hsipaw as well, as i have only heard great things. 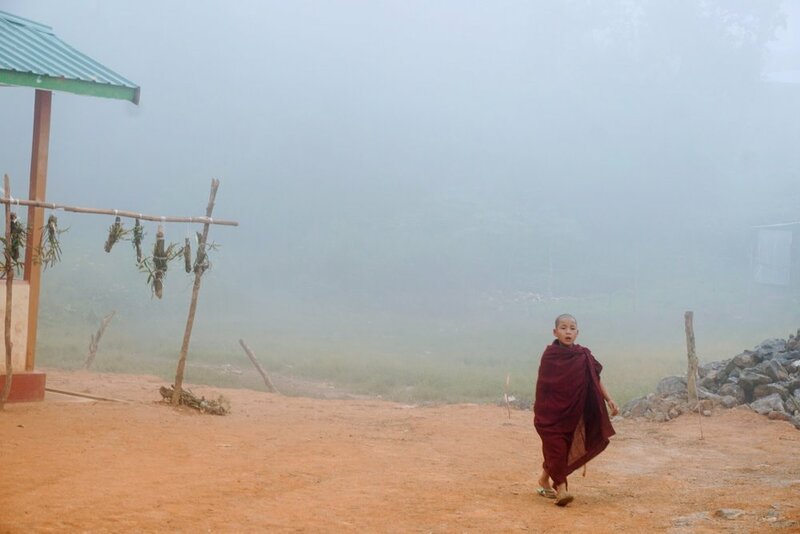 The three day mountain village trek was definitely one of the main highlights of my time in Myanmar. 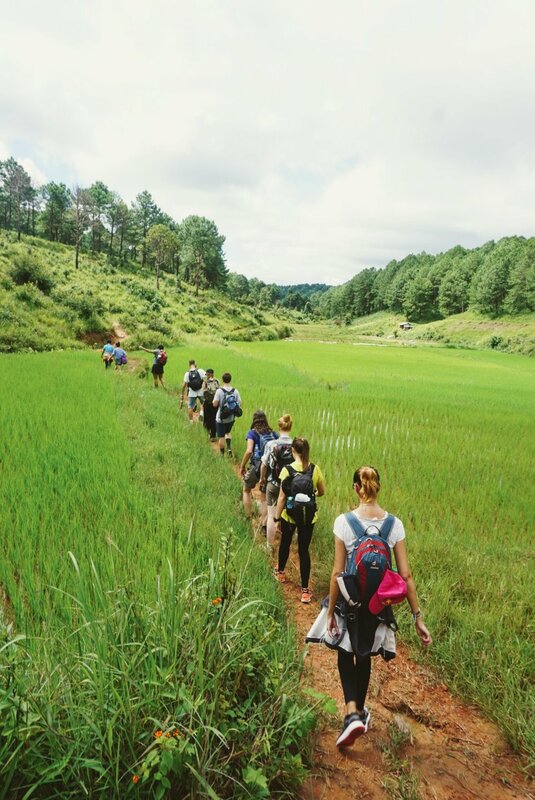 For only 40,000 kyat (~$30) you get a three day 63 km guided hike with accommodation and all meals included! If anything go for the food, because the home cooked meals were the best that I had on my trip. The trek itself is not too difficult, however if you go during rainy season then be prepared for extremely muddy conditions! For more info on this trek check out my post here. Before starting the trek you will most likely spend one night in Kalaw. Check out Pyae Shan Noodles for some rich tasting noodles with portions starting at only 700 kyat (that’s only about 55 cents)! I recommend staying at the Golden Kalaw Inn. The owner is super accommodating and was able to put me in a double room with another solo female traveler for around 8USD, breakfast included. The hotel also has a great rooftop to watch the sunset from! 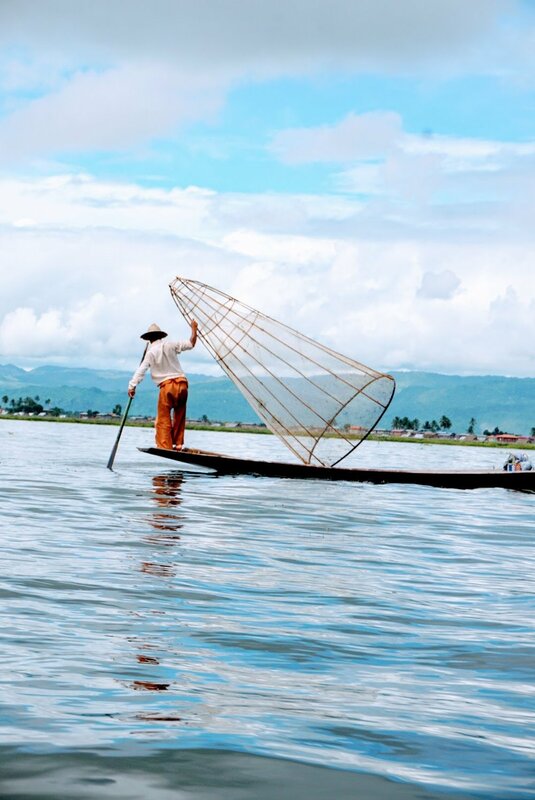 Inle Lake is your spot for relaxation after finishing your trek! While there are definitely cheaper guesthouse options, I highly recommend staying at Song of Travel. The dorms are clean and spacious, there is a rooftop (and rooftop bar), and breakfast is included. Each afternoon they have a free snack cooking session, which although I didn’t partake in the cooking I definitely helped to eat after the fact each evening. Additionally, there are free bicycles for rent which in my opinion was the easiest way to get around town. Go for the views but do not go here for the wine! I had read this in reviews before going but that still didn’t prepare us for what was definitely some of the worst wine that I had ever tasted. That being said, it is definitely a lovely spot to sit and watch the sunset! There are many companies, including most of the hostels, that arrange full day boat tours, however if you get your own group together then it is much cheaper to simply rent your own boat. One boat costs 18,000 kyat for a 5 hour tour and can accommodate up to 5 people. This is very different from the pricey tours offered by the hostel. I have had my fair share of massages, both in and out of Myanmar, and Venus was one of the best that I ever received. At 7,000 kyat/hr (5 USD) there is not much to complain about! They even provide you with tea, snacks, and a bottle of water. This centrally located restaurant serves some amazing local dishes for relatively cheap. 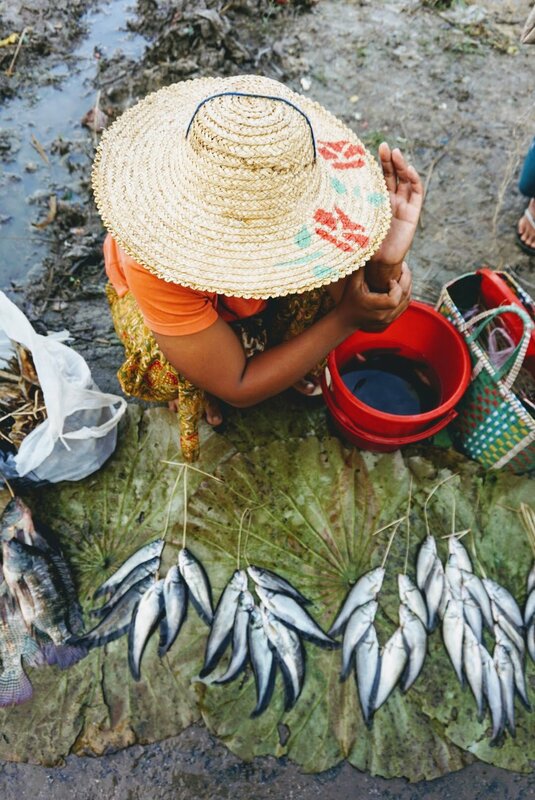 Rice and noodle dishes go for about 2,000 kyat, while fish or meat dishes go for around 4,500 kyat. We used six dishes and we were pleasantly surprised to find that they were all delicious! Although not the cheapest option with most curries going for around 4,000 kyat, the food at this place is incredible. You can’t go wrong with the korma and some garlic naan (or grallic as the menu describes it haha). I found that some cities in Myanmar were definitely more conservative than others. For example, I felt more comfortable covering up while in the larger cities of Yangon and Mandalay. In othe regions, such as Nyaung Shae, I felt more comfortable wearing shorts and/or having my shoulders exposed. It is still important, however, that you bring along something to cover up your knees and shoulders for entering any of the temples of pagodas. Although this itinerary will give you a good taste for Burmese culture, it is merely a sample of this beautiful country. There are so many other countries that could be added to this itinerary! I love this and this is the itinerary I should have done when I visited. Though instead I did Yangon- Bagan- Mandalay, staying way too long in each place. Fell in love with Yangon though and visiting Dala was a highlight (we haggled and got a tuktuk tour). Totally agree about finding tours in Mandalay, luckily where I stayed at Four Rivers Hostel they had a full day tour for $6.50, yes that price is crazy and the tour was amazing. We went to a monastery, many pagodas, a local school, inwa and u bien bridge, it obviously didnt include entrance fees but was such good value for money! I haven’t done much research on Myanamar yet, so this itinerary is really going to come in handy when I do start looking into it. Your photos make me want to leave right now! 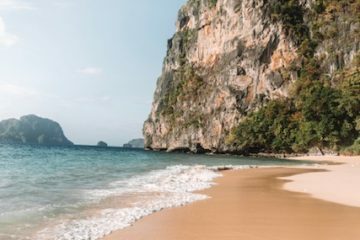 So Myanmar does seem a little more expensive than other places in south east Asia, but undoubtedly some beautiful spots! Excellent photos! I didn’t wear anything shorter than long pants in Myanmar. Just like you, I missed the hot air balloons too, but then again, I probably wouldn’t take it due to the steeeeppp prices. The trip remained very memorable to me. Hopefully I can go back again in future to explore the other areas! I am going to Burma for a month later this year and have saved this awesome post to help plan my trip! I enjoy reading about other peoples travels. This a perfect guide for anyone thinking about going to Myanmar. Lovely and thoughtful guide. Thanks a million. I’ve been already but you’ve mentioned things I would want to do on a second trip that I missed on the first! What a lovely two-week plan for Myanmar. I was lucky enough to visit in 2013 but I hear Yangon especially has changed so much since then, I’d love to get back. Adore all your photos. I haven’t been to Myanmar yet but I definitely would love to visit one day. It looks like a humbling and beautiful place. This is such a great post! So detailed and your photos are amazing. I really wanted to go to Myanmar when we lived in Singapore but ran out of time. It wasn’t a place I wanted to rush. I hope I get the chance to go some day! Beautiful photos and post! Definitely saving this for when I eventually get to that side of the world! Wow, great wrap up and really makes me want to head to Burma which has been on my radar a lot lately !